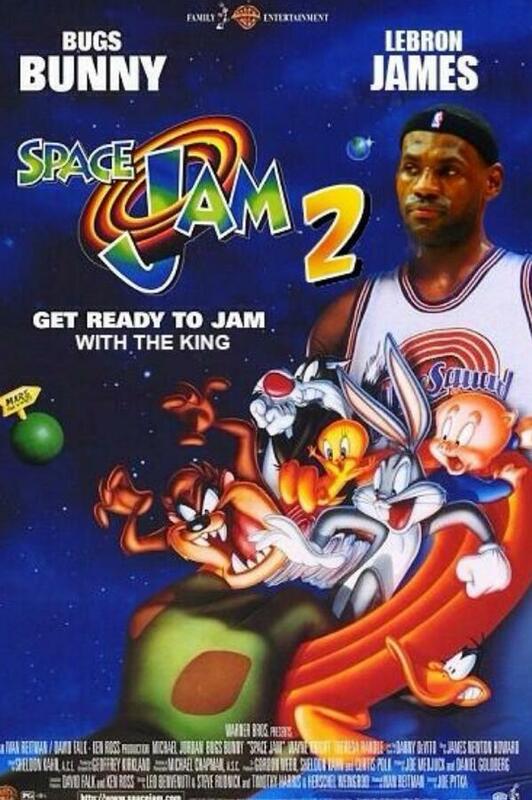 Three days after Michael Jordan's birthday, Warner Bros. announced that they're moving forward with a sequel to his 1996 film Space Jam with Miami Heat star LeBron James set to head up the film. This is one of those projects that people have been talking about half-jokingly for years (as the fan art above proves), so it's interesting to see it come to fruition just as James--who broke his nose in a game this week--could use a change of headlines. "Charlie Ebersol, who already has a good relationship with the NFL through his NFL Characters Unite series on USA Network, is about ready to do the same with the NBA," the report says. "He has been brought on to the produce the picture through his production company, The Company, from a script by his brother Willie Ebersol. The latter won an Emmy for the London Olympics. This is his first screenplay." The original Space Jam made more than $200 million globally as well as driving significant licensing and merchandising revenue for Warner Bros.